As Hong Kong celebrated the 20th anniversary of its return to China, Chinese concert pianist Lang Lang took to the stage with Hong Kong actor and martial artist Donnie Yen, to play a hearty rendition of Defend the Yellow River, by Yin Chengzong and Chu Wanghua. The famous pair of pianists were also joined at the gala by a young boy, who played alongside Lang Lang. 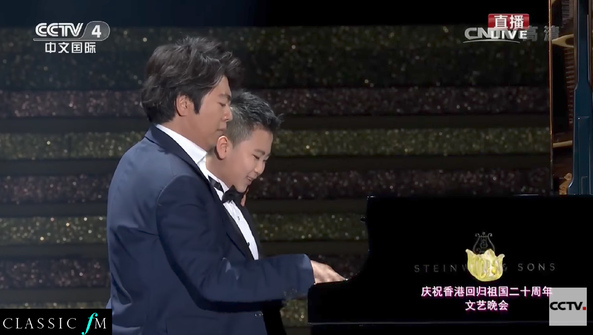 The aspiring young pianist played the left-hand part of the Yellow River Piano Concerto movement, as the virtuoso one-handedly played the right-hand part beside him.